It's never been easier to keep your AquaReef 195 aquarium in perfect condition with our full range of genuine Aqua One spares and aquarium accessories, with Free UK Delivery options available. We stock the complete range of filter foams and sponges for all AquaReef setups, with most items available from stock for immediate despatch. Whether you're looking for filter media pads, spare parts, lighting tubes or even a new lighting unit for your AquaReef 275, you'll find a full range of genuine Aqua One branded spares and accessories ready for immediate despatch, straight from our warehouse. Noone carries more AquaReef spares than Aquarium Parts. Here at Aquarium Parts we have the largest stock holding of every available spare part and accessory for the AquaReef 300 aquarium, including filter pads, lighting units, pipework sets and more, supplied from stock, straight to your door. We are specialist in all aspects of Aqua One aquarium upkeep and can help solve any issues you may have with your setup. 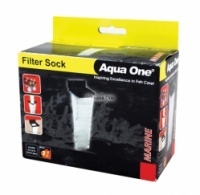 Don't worry about finding the correct Aqua One spare part for your AquaReef 400 aquarium. Here at Aquarium Parts we have the largest stock of original branded Aqua One spares and accessories in the UK with immediate despatch and Free UK Delivery options available when you spend £39 or more. Buy Aqua One with confidence at Aquarium Parts. Find all Aqua One Spares for your AquaReef 500 aquarium here at Aquarium Parts. We stock the entire range of genuine Aqua One branded spares with Free UK Delivery when you spend £39 or more. From lighting units to filter pads, protein skimmer pumps to filter socks, we have the lot, available for immediate despatch from our warehouse.